Buying a new home is probably the biggest investment you'll ever make. And it's a decision that will affect you for years to come. The process can be extremely stressful and confusing. And of course, there is always considerable risk involved when making such a large purchase decision. A professional inspection will significantly reduce your risk and help make the entire home buying process easier and less stressful. I really enjoy helping my clients in this process. Customer service is my highest priority. Armed with the information my report will provide, you can make your decision with confidence. 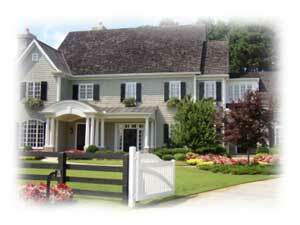 I perform thorough home and commercial inspections in Michigan's Upper Peninsula and Northern Wisconsin. My service areas include Dickinson, Delta, Iron, Alger, Marquette, Menominee, Marinette, and Florence counties.